Sammy and Corey first met on the sands of Sydney’s Queenscliff Beach. Sammy remembers spying Corey’s tattoos and thinking he was a bit of a ‘bad boy’. Corey was immediately taken with Sammy’s bubbly personality and didn’t waste any time inviting her to his friend’s birthday party that night. Their connection was immediate - sparks flew, the night ended with a kiss and these two have spent every day since falling more and more in love. On their wedding day 7 years later, I pronounced Corey and Sammy husband and wife and told Corey he could kiss his bride. Completely overwhelmed with excitement, Corey started jumping around with his fist in the air grinning ear to ear, whilst Sammy stood there wondering when he was going to remember to give her that newlywed kiss! After a few friends hollered 'kiss her!" Corey did just that. The crowd responded with a cheer and at that very moment, it felt like the party officially started! 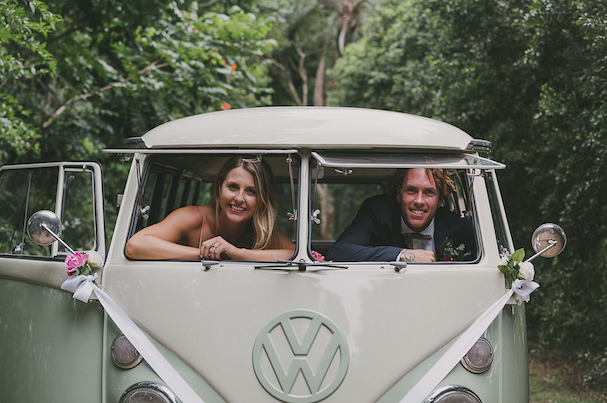 Sammy and Corey’s wedding day was one big love-fest – they were married on Sammy’s mum’s property in Myocum which was transformed into DIY styling heaven by the bride and groom, parents and a loving Uncle who created some floral magic. 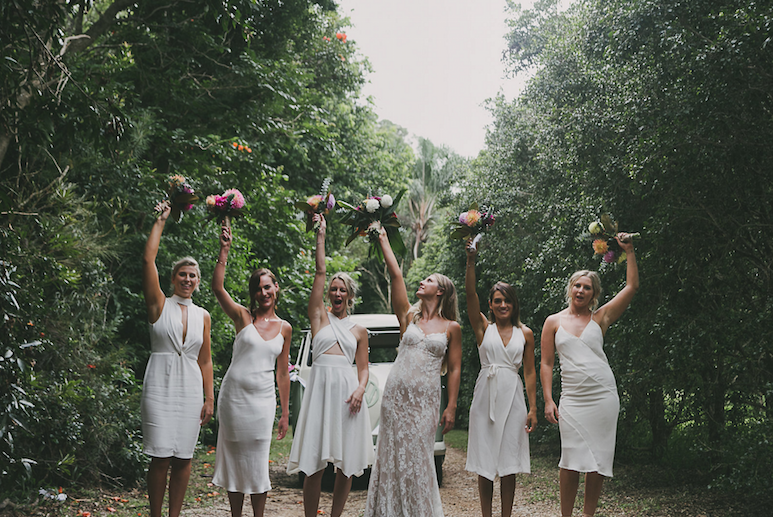 From the cluster of hand-made dream catchers, to the old pig trough full of blooms, the tipi down the back paddock and the dance-floor in the farm shed, this family home provided the perfect oasis for Sammy and Corey’s guests to party the night away. I spent 9 months getting to know Sammy and Corey and finding out all about their story. They were amongst the first of their friends to get hitched and it was awesome to see how completely stoked their guests were to come together and celebrate their GREAT BIG love.